Barkers Red Hots plans to close on Windy Hill Road in Marietta on Friday June 23rd. Glenn Robins and his wife Vivian started Barkers as a downtown Atlanta, Georgia pushcart in 1984. Barkers Red Hots closed in 1995 and remained closed until Glenn and Vivian reopened their beloved operation in 2007 as a quick service restaurant on Windy Hill Road in Marietta. 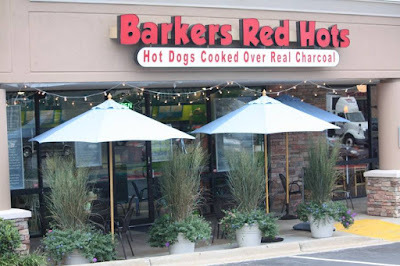 Since reopening, Barkers Red Hots has racked up a slew of awards, including “Atlanta’s Best Hot Dog.” The pair added a second location on W. Crossville Road in Roswell in 2011, but it closed in late 2014. One might have thought the halo affect of the nearby SunTrust Park might have helped the Windy Hill operation, but alas, that seems not to have been the case. A new Krispy Kreme is planned for the site of a former Conoco gas station at 9420 Highway 92 in Woodstock. The North Carolina based eatery is planning a new 2,827 square foot freestanding restaurant with indoor and outdoor seating on the roughly one acre parcel. Dr. Mary Millkey plans to open Millkey Way Pediatric Dentistry later this year at West Paces Ferry shopping center in Buckhead. The dental practice replaces children's boutique Gretchen's, which closed last year after 64 years in business. Dr. Millkey currently practices at Legacy Pediatric Dentistry in Kennesaw. Tokyo Grill and Wingstop at Toco Hills were both destroyed in a fire last Friday afternoon. The two restaurants share a building on North Druid Hills Road that local sources say was many years ago a McDonald's restaurant. The cause of the fire has not yet been announced, nor has any news on when or if the restaurants will rebuild. A June 2014 fire destroyed the LongHorn Steakhouse restaurant across the street from last week's fire. The LongHorn was abandoned and later demolished, waiting for over two years before it was rebuilt, finally reopening last August. Mark your calendars for November 20th. "With critical milestones achieved at Mercedes-Benz Stadium and overall construction on track for its opening on August 26th, the process of decommissioning the Georgia Dome has been restarted. The date for implosion of the Dome has been set for Monday, Nov. 20 at 7.30 a.m. The major work of stripping and preparing the Georgia Dome for implosion will begin in earnest over the next two weeks. The Atlanta Falcons will host the Arizona Cardinals in an NFL preseason game at Mercedes-Benz Stadium on August 26 as the first major event in the new stadium. As announced in late April, the site of the Georgia Dome will become a green space known as The Home Depot Backyard. It will serve as parking and tailgating areas on game days for the NFL’s Atlanta Falcons and Atlanta United of MLS. The 13-acre site will be activated as a community space on non-game days throughout the year once complete. “Significant progress on Mercedes-Benz Stadium is achieved every day and we’ve hit a few exciting milestones on the roof over the last week,” said Steve Cannon, chief executive officer of AMB Group, LLC. “With strong confidence, we’ve asked the contractors to move forward getting the Georgia Dome ready for implosion on Nov. 20.”"
Cafe Bello, a new kosher restaurant, recently opened on Chamblee Dunwoody Road, just off Peachtree Boulevard. The restaurant, which is basically across the street from Chamblee High School, features a menu of popular Israeli dishes such as falafel, hummus, salmon and shakshouka, a dish of eggs poached in a sauce of tomatoes, chili peppers, and onions, often spiced with cumin. Delightful Donuts has opened a second location. The new location is at 1540 Old Alabama Road, in a small strip center, not far from the Connexion shopping center in Roswell. The first Delightful Donuts is located on Georgia Highway 9 in Milton. Atlanta based Piedmont Healthcare (dba Piedmont Medical Care Corporation) is taking over a large portion of the former CB2 furniture space in Midtown. CB2, the sibling brand of Crate & Barrel, closed the store in late 2015, citing "high rent." Several permit applications were filed with City of Atlanta last week to begin converting 8,217 square feet of mezzanine level space at 1080 Peachtree Street NE, into the Piedmont Healthcare primary care facility. The new primary care office with onsite lab will have extended hours and is slated to open in early 2018. According to permits filed by CB2 in 2009 ahead of their 2010 opening, the space is 13,819 square feet in total. The fact that Piedmont seems to be taking most, but not all, of the space, seems to suggest that the long running rumor that Chipotle Mexican Grill is planning to come to the project could be true. Piedmont's CB2 conversion is the latest in a trend of restaurant/retail conversions to medical use. In April, ToNeTo Atlanta was first to report that Harken Health had leased the former Gatsby's Social Club in Mitown Promenade for a new healthcare office and while Emory Healthcare transformed the abandoned former Justin's restaurant in south Buckhead into a primary care office earlier this year. The Ritz-Carlton Buckhead has quietly named Stephen Toevs the Executive Chef at the hotel and its upcoming Mediterranean-influenced restaurant, Trade Root. Stephen Toevs is a veteran of Marriott International, and according to his LinkedIn, was most recently Executive Chef at The Ritz-Carlton Aruba. Trade Root is expected to debut later this fall while the hotel is expected to be re-flagged later this summer. Taqueria del Sol’s new location in Chamblee’s Peachtree Station opens for lunch service today! The restaurant is located within the soon to be Whole Foods anchored center on Peachtree Boulevard at Johnson Ferry Road. The Chamblee location will be open for lunch only today through Saturday, June 17. After June 17, the restaurant will be open for regular lunch and dinner service. The Chamblee location will operate for lunch Monday through Friday 11:00 a.m. until 2:00 p.m. and Saturday 12:00 until 3:00 p.m. Dinner will be served Tuesday through Thursday from 5:30 until 9:00 p.m. Friday and Saturday dinner service will run from 5:30 until 10:00 p.m. The location will be closed all day Sunday and Monday for dinner service. The Chamblee location is the chain's fifth in Georgia joining existing locations on the Westside, Decatur, Cheshire Bridge Road and Athens. Another Taqueria del Sol is planned for Memorial Drive's Larkin on Memorial project in early 2018. HOBNOB Neighborhood Tavern plans to open their second location at TOWN Brookhaven July 10th. Hobnob's original location is in Midtown where owner Sean Yeremyan renovated a former Caribou Coffee at the intersection of Piedmont Avenue and Monroe Drive. Hobnob's Brookhaven location opens in place of Smash Kitchen & Bar, which closed in 2015 as part of the Here to Serve restaurant collapse. The space was originally occupied by Stir Crazy, a short-lived Atlanta location of the national Asian chain. Broadway Cafe, a popular kosher restaurant in Toco Hills, has been sold. Broadway is the second kosher restaurant to change hands in recent months following the sale of Fuego Mundo, in Sandy Springs, earlier this year. After closing on the restaurant, business partners Christina Laurie and Julie Meni closed Broadway Cafe in order to complete "extensive renovations." Sources say the duo plan to tweak the menu and its offerings as well as updating the kitchen and dining areas. There is no official word on when the restaurant will reopen or if a name change is coming. Steve Josovitz of The Shumacher Group, Inc represented the sellers in both the Broadway Cafe and Fuego Mundo restaurant sales. Metro Atlanta's newest Zoës Kitchen opened yesterday at the new Parkside West Cobb shopping center on Dallas Highway adjacent to the Avenue West Cobb in Marietta. In the past few months, Zoës Kitchen had added three new locations to metro Atlanta including eateries in Decatur at Decatur Crossing, Kennesaw at Kennesaw Marketplace and Chamblee at Peachtree Station. Another new Zoës Kitchen is planned for The Plaza at City Springs in Sandy Springs. BlueTop, a new "American fast casual" restaurant first proposed in 2015, is targeting an August 1 opening in historic downtown Chamblee. The restaurant, located between Union Hill Kitchen and Southbound on Peachtree Road, is being opened by Atlanta native and former Portofino Executive Chef Matt Marcus and his business partner Andy Lasky. According to a variance filed by Lasky with the City of Chamblee in 2015, the 1930s era building was only 800 square feet but was enlarged by the addition of a 1,343 square foot covered patio space for the restaurant. The variance goes on to describe the concept as a "casual counter service restaurant that will promote a vibrant atmosphere." BlueTop will be open for lunch and dinner and will seek to attract Chamblee's growing number of families and young professionals. The BlueTop restaurant building was originally home to the BlueTop Taxi Cab company which is where the restaurant gets its name. Gymboree, the San Francisco-based children's apparel retailer, announced plans earlier this week to shutter between 375-450 stores in wake of their Chapter 11 bankruptcy filing. 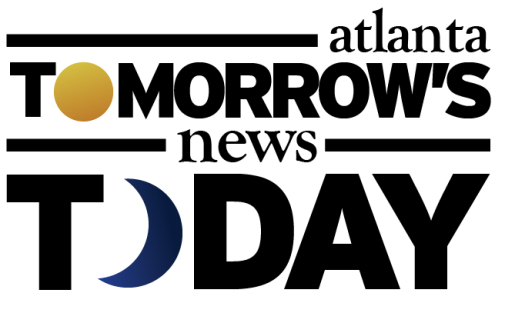 The company started in 1976 and has gone through a number of changes in ownership/management over the years, most recently being purchased by private equity firm Bain Capital in 2010 in a deal valued at $1.8 billion. Last July, Gymboree agreed to sell its Play & Music educational entertainment division to Singapore-based investment group Zeavion Holding for $127.5 million. The Play & Music unit, with franchised metro locations at Toco Hills, Sandy Springs, Alpharetta and Lawrenceville, is not part of the bankruptcy filing and is not slated to see any closures. Gymboree has 1,281 locations, including 582 Gymboree stores, 172 Gymboree Outlet stores, 149 Janie and Jack shops and 378 Crazy 8 stores as of April 29. In metro Atlanta, Gymboree has retail stores at Lenox Square, Perimeter Mall, The Forum, Cumberland Mall, Gwinnett Place Mall, Avenue East Cobb, Avalon, The Shoppes at Webb Gin and Town Center at Cobb. The company also operates a Gymboree Outlet at Sugarloaf Mills. Gymboree also operates Janie & Jack boutiques in Phipps Plaza and Avalon. There is no word yet on where or when store closures will occur. Intown resident Jason Waller has launched an indiegogo campaign to open Dad's Coffee Bar. The Medlock Park resident had his eye on a space that reportedly recently went to another tenant. Waller is actively looking elsewhere in/around Medlock Park with hopes of the serving the "greater Decatur area." About a week into the fundraising effort, Dad's has raised just over $1,000 of the overall $25,000 goal. "My name is Jason C Waller. As of today I am a 38-year-old dogwalker/musician/booking agent/band leader/ Father of 3/ Husband of one/songwriter/amateur Bird Watcher/ wood carver/ hammock maker, just to name a few of the things I do. Late last year I decided to get proactive about my depression. I started talking about it. I began shooting a video series called DAD Presents. These videos paired conversations with songs and featured local songwriters in the Decatur Area all focused on breaking the stigma attached to mental illness. I looked into Nuci’s Space, which is an Athens-based coffee shop that also rents out band equipment and connects local musicians to the health care that they need. There are summer camps and fundraisers all in the name of Mental Health. I looked for something like that in Atlanta. I couldn’t really find what I was looking for so I decided to create my own. This is what I am looking build: A successful coffee bar/music venue in Medlock Plaza. I plan to book acoustic bands Thur-Sat evenings. I want to continue the DAD Presents videos and release them on regular intervals.  I also plan on reaching out to local radio stations to produce and stream regular interview/performances from regional artists. When The Back Room of Dad’s Coffee Bar isn’t hosting performances, it can be used by the community for daytime activities and events that support the DAD mission to promote community development and mental wellness. I’m thinking yoga, meditation, family movie nights, support groups, and community meetings, and more." d'Vine Wine Bar & Shop abruptly closed at The Shops of Dunwoody near Dunwoody Village Monday. The restaurant, opened by retired IBM/PeopleSoft employee Bob Leavey, had been open about 15 years and seemingly closed without any notice to patrons. A number of ToNeTo Atlanta readers shared with me a sign posted on the restaurant's front door indicating it was evicted by the DeKalb County Marshal's Office. Sources close to the property indicate the space may already be leased to a new tenant. There is, however, no word at this time as to what precipitated the closure. Vintage Pizza opened a new restaurant in the center last month, joining existing eateries Co'm Vietnamese Grill and J. Christopher's. On the Barker's FB page they mentioned closing to take care of some health issues that they've been neglecting. Not sure if that's the whole reason or financial + health. With the front being and old building The BlueTop looks like it will be a great room for a restaurant. This portion of Chamblee has a great feel that unfortunately Brookhaven does not. Great to see these old buildings being renovated instead of torn down. The Tokyo/Wingstop building at Toco Hills was very definitely a McDonald's back in the day. As a neighborhood kid, it was the first McD we ever saw that went out of business. We didn't know such a thing was possible. I agree with Eric. It's nice to see Chamblee heating up this way since the ambiance feels better in and around the area (for restaurants and shops). Hopstix is good and Gus' Fried Chicken seems to be off to a good start. I've enjoyed Southbound for a while but new places are fun to try. Like Cafe Bello. And these new spots will surely put Union Hill Kitchen out of business. They are overpriced with an angry chef (just read the yelp reviews) and I am starting to think it's a cover for some other kind of business. We used to go to the Toco Hills McDonald's after we won baseball games at BCS. They would give the team free hamburgers. Barker's ended up closing today as the turnout to say one last goodbye has been great and they've gone through all their inventory. I'll miss them greatly. Back when they used to be open on saturdays I would take my son with autism there every week we were in town over the summer. It's his favorite place to go out to eat and it'll be hard to explain to him that they're closed. I'm glad we got to eat there one last time yesterday and I'll miss running over for lunch. Glenn, Vivian and the whole crew they've had there over the years have been great. I wish them the best of luck.